My kids are back in school, the nights are getting cooler and the cicadas are out in full force. Summer must be coming to an end….boo! With football right around the corner as well I am saddened that in the blink of an eye we will go from warm long summer evenings to brisk short days in no time. But with that change comes my favorite time of the year for beer, FALL (or autumn for all of our friends not in America or actually more sophisticated than myself). Why do I love fall beer? 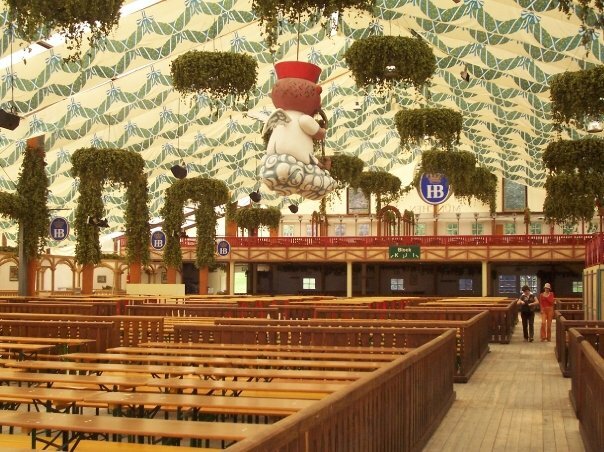 One word…Oktoberfest! And with that special marzen style beer comes the actual Oktoberfest celebration. If you’re looking to celebrate in Munich, you better get your buns moving because it’s getting pretty close to festival time and rooms or flights are going to become even more expensive than they are already. 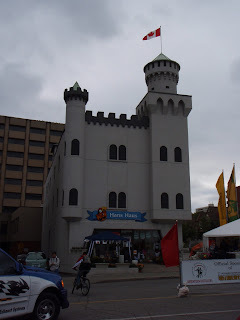 But fear not, there are great celebrations of Oktoberfest on our side of the pond that have wonderful beer, great food, fun folks and are nice places to vacation a little bit more on the cheap this year. So while we’re all planning our meet up for Munich 2016, let us guide you to the places you should be hitting this September and October that you may have never thought of. Oktoberfest in La Crosse is one of the better attended celebrations outside of Munich. In past years it has drawn upwards of 150,000 people and is sure to be well attended this year as well. 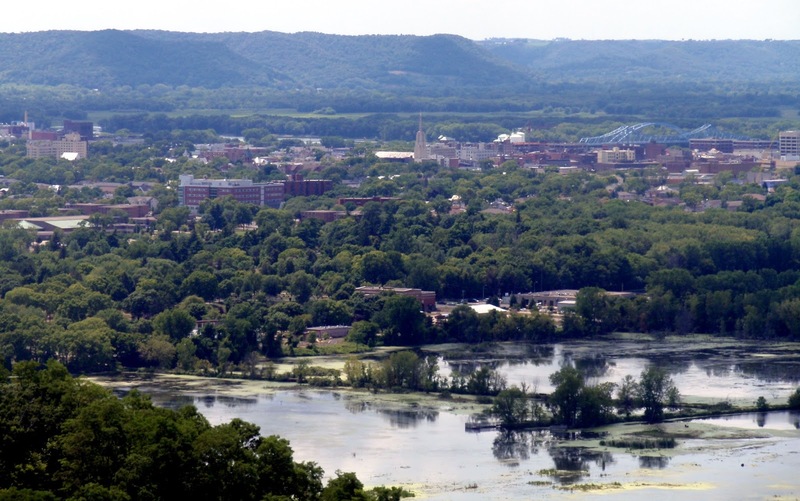 With close proximity to the Twin Cities, Milwaukee and Chicago, Oktoberfest La Crosse is not only a good time but also easily accessible for folks in the Upper Midwest. This years event is scheduled from October 1-5 which means that you should catch some awesome fall colors in this Mississippi River town as well. As I am an “everything about Wisconsin is fantastic” sort of guy, La Crosse had to be at the top of my list. This is the mother of all American Oktoberfest celebrations. 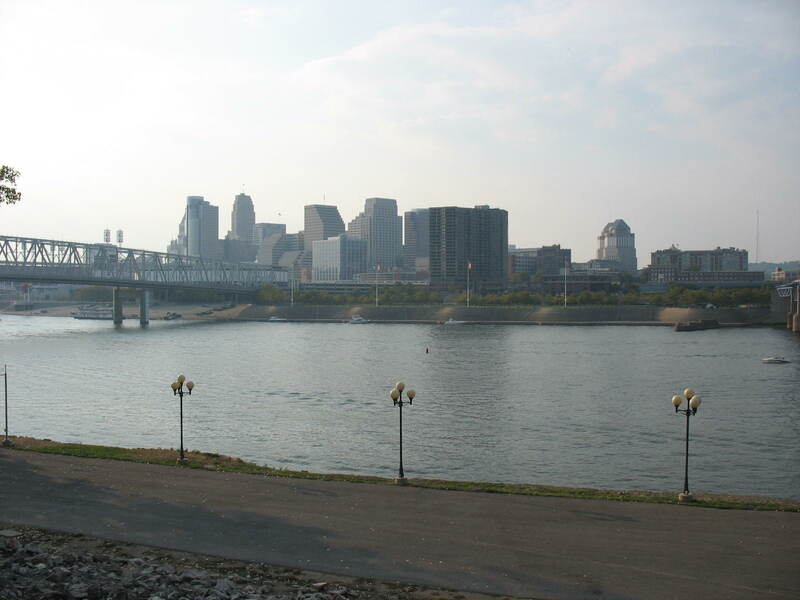 Your town may have little parties planned, but none of them top Zinzinnati. This celebration has been held every year since 1976 and is attended regularly by over a half million people. 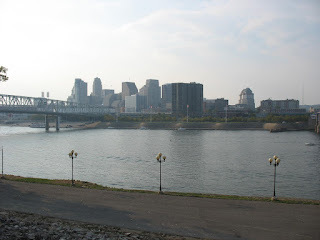 Set in downtown Cincinnati near the banks of the Ohio, Oktoberfest Zinzinnati is a must attend if you can’ make it to Germany and love to revel in the Midwest in late September. This years event is held from September 18-20 and is an easy hop for basically anyone from St. Louis to Pittsburgh to Nashville. Does 9 days of Bavarian reveling in Canada with 1 million of your closest friends sound like a good time to you? It does to me. That’s why you need to head to the Great White North to celebrate the second largest Oktoberfest celebration in the world in the twin cities of Kitchener and Waterloo. Outside of the beer drinking (which is obviously hugely important) you will find traditional dances, parades and even a German maypole at this celebration. If you’re ready to celebrate like a Bavarian with a little added “eh”, make the easy trip from Toronto October 9-17 this year. Nothing says you are happy with your life like poutine, munich sausages and marzen style brews. If celebrating in the fall isn’t really your thing, how about flipping hemispheres and celebrate the ushering in of spring. 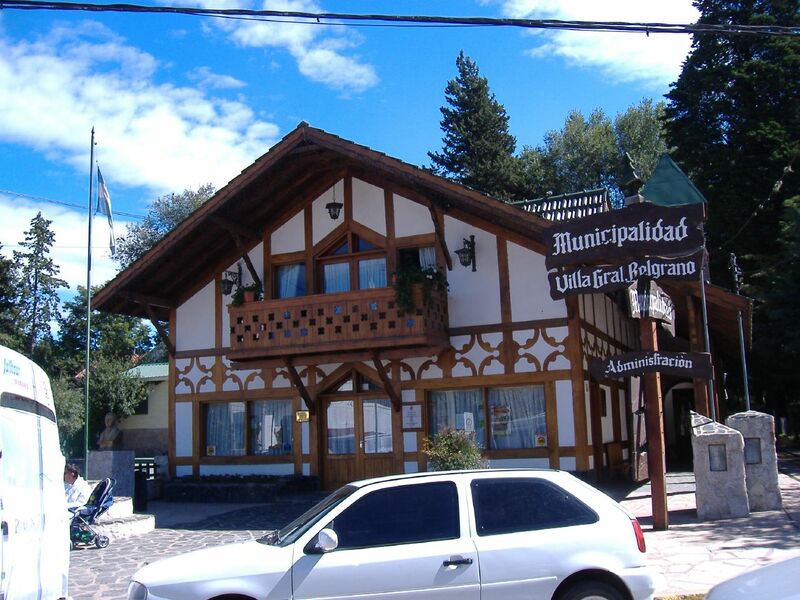 One of the great beer festivals of South America is celebrated in a small mountain town in Argentina and regularly draws 50,000 beer loving folks for 11 days of celebrating. Like the festival in Munich, the Argentinian party hosts large barrel tappings (in large wooden barrels), a Bavarian parade and even a crowning of an Oktoberfest Queen. The event is officially called The National Beer Fest ( though Oktoberfest Argentina is now acceptable to use as well) and has been going strong since the 1960’s. This years event runs from October 2-12. If you want to party like the Bavarians in a setting not very different from the Alps and just happen to be in South America, then get your pretzel loving self to Argentina. Looking for a subtropical climate to go along with your stein of brew? 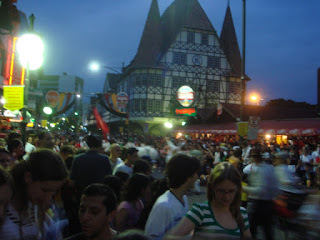 Well then hop over to the 2nd largest Oktoberfest in the Americas (behind Kitchener-Waterloo) in Brazil. The crowds are estimated to be near 750,000 annually for this warm weather Oktoberfest. Created in 1984 to help boost the local economy after a devastating flood, the Blumenau Oktoberfest has skyrocketed in popularity ever since it’s inception (it doesn’t hurt that the makeup of the area is high in German ancestry). Like the Argentinian Oktoberfest, the festival in Blumenau features an Oktoberfest Queen. But what sets it apart is it’s Chopp in Meters competition. If you can drink a meter of beer (practice with yards if you’re non-metric) without the glass leaving your lips, then head to Brazil for this competition. No drooling allowed either. This years festival will last from October 7-25 ( holy crap that’s 18 days) which makes it easy to hop between both Brazil and Argentina if you’re so inclined to drink lots of beer. Beyond these great (and large) festivals, there are celebrations in bars and beer halls across the the world. If a town has ever ever housed a German immigrant, there is bound to be an Oktoberfest celebration. San Diego, for instance, has a festival in every town surrounding it (and why wouldn’t they since there’s a brewery around every block there). Denver blocks off back to back weekends at the end of September to celebrate (since they have a brewery adjacent from every Walgreens). So no matter where you are you are sure to find Oktoberfest style suds being tapped and “Roll out the Barrel” being played by someone in lederhosen. No matter where you go though, make sure you at least hoist one brew for Ludwig and Therese and have a barrel of fun in the process.